Sorry the party is late…more blogger issues! I look forward to seeing what you have to share this week. You’ll find the link to join the party at the end of this post. coat rack and wait till you see her stenciled rug. shares her recipe for no knead bread. I'm not seeing link up? Thanks for hosting, Sherry. Blogger issues seem to be everywhere this week. Great features…….. Thanks for hosting, Sherry! 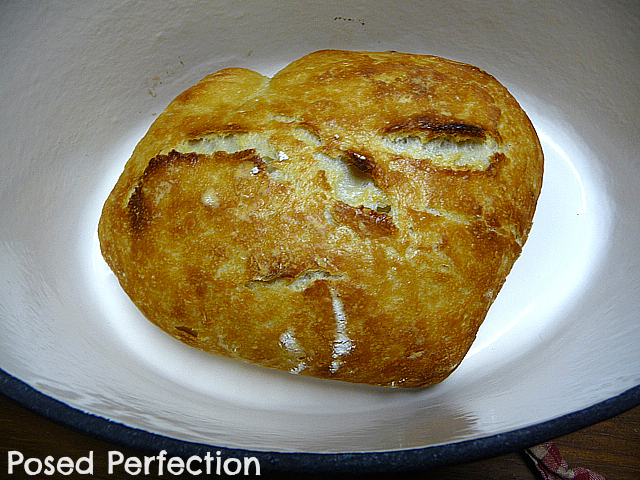 Thanks also for featuring my No Knead Bread. You are too sweet! Have a wonderful week! You were late, I'm late, it's all good. Glad to be here on a sunny day. Great features…Thanks for hosting, I just linked up. No matter, better late than never! I've linked up a snowy square on the island (Crete). Quite a surprise for the locals – and tourists, I might add! 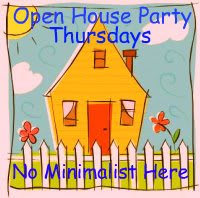 Thanks for having everyone over to your place on Thursdays. I enjoy seeing everyone's projects together is one place. I've just discovered your blog and become your newest follower. I'll try and join your party next week – it looks like fun! Please do pop over and see me – I'm in New Zealand on the other side of the world, a long, long away but only a click of your mouse!!! Wishing you JOY and happiness in 2013. Thanks for hosting Sherry!! I posted my new living room makeover.